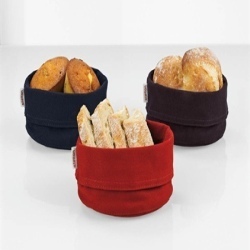 We offer a diverse array of bread basket & bread bags which is available in attractive designs and patterns. Entire range of bread basket & bread bags are creatively designed with the help of our proficient team member. We also provide customization on our array as per the requirement of clients. Bread basket made of natural fibre like bamboo (rattan), banana fibre etc. Various types of Poly Rattan baskets at bulk prices. We offer polyrattan basket with polycarbonate roll tops in different shapes & sizes. Apart from retaining the freshness of breads, they look attractive & gives an entirely different look to the food display. A must for breakfast buffet at coffee shops of hotels.